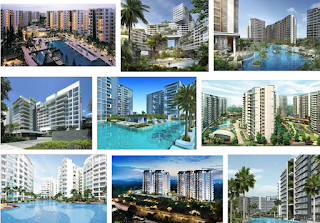 My friend bought 2 units private condo (District 9-10) last year and early of this year. One for own use and one for investment purposes (still vacant as at to-date). As recently all banks increase the loan interest. Thus, I asked him whether it is stressful to service the two condos. AIM FOR THE CAPITAL GAIN. WHY WORRY IF YOU KNOW THAT YOU CAN MAKE 300K IN THREE YEARS TIME? 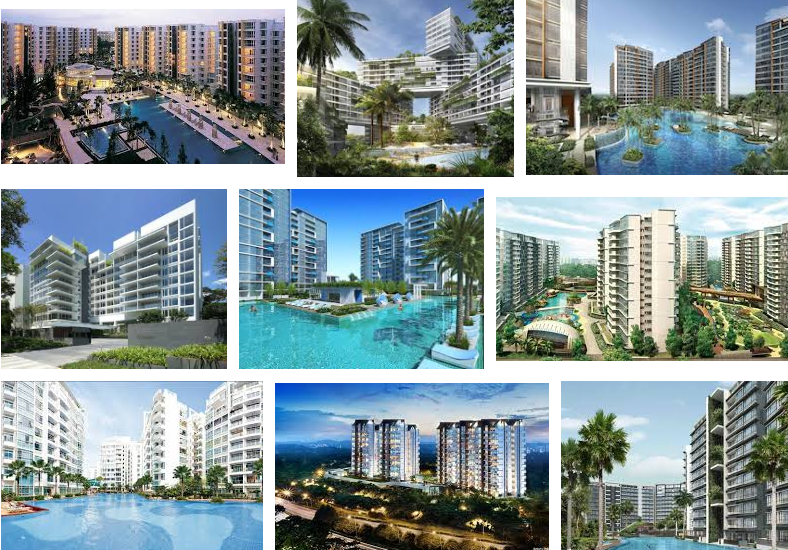 Any idea whether Singapore property sure will increase price? See so many en bloc recently, I believe developer here won't anyhow dump their money. Your friend knows for sure his recent D9 purchase can make $300K three years from now? After all the costs that comes from holding it vacant for three years? He probably knows something I don't. As for property developers, they have tons more money than we have and they probably have easier access to credit than us too. When we owe a few hundred thousand dollars to the banks, we are at their mercy but when we owe hundreds of million of dollars to the banks, they are at our mercy. If things should go downhill from here, (most) property developers probably can weather the storm but can we? It is only too easy to feel invincible during good times but we should stress test our finances to see if we are really invincible or is it all in our mind? I know some people think I am against property speculation but, really, I am not. It isn't something I would do but I am not against other people doing it. As long as the people who do it know that they are speculating and if they have more than sufficient ability to do so, go ahead. 2. are really not financially strong but have only enough spare cash to follow the herd. Anecdotal evidence shows that these people are more common than not. Those who expect property prices to double in the next 10 years like it did from the Global Financial Crisis a decade ago are more likely than not going to be disappointed. We should not let the fear of losing out force us into following the herd. Ask what are we really losing out on anyway? What do we lose by not doing it? My experience has been that if we buy a property that is a decent investment (see related posts at the end of this blog), its value will likely hold and over time it could enjoy capital gains. Of course, it is never my way or the highway. I just don't have much confidence in my power in speculation. Condo investment has been a drag. I think that it's quite risky holding two properties with the mindset that they will generate profit. I am not inclined on such approach which leverages on debt. I will rather utilise cash which I can afford to lose. The place of utilisation is in stock. It really depends on how deep the speculator's pockets are and how much he is willing to risk? The problem now is ...... you need to be really cash rich to even qualified to speculate the property . This bar has been raised very high . Good luck to all ! But the most important is the property price. Like I shared earlier in other post, I bought similar unit at $680K vs my neighbor paid for $860K. High price means higher mortgage payment and interest. In summary, higher principle and high interest cost. 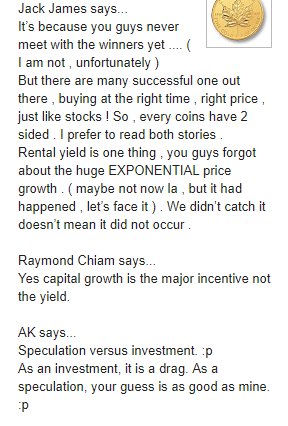 Thought of sharing an alternative (optimistic) view on property as investments [I'm a fan of Robert Kiyosaki, author of Rich Dad Poor Dad]. One of the board game Cashflow, kinda illustrate the difference between stocks & properties, the focus should be on the cashflow coming in. Eg. If you stay HDB, your kids move out or for whatever reasons you can squeeze out 1 room to rent out, that room rent at $600, now our home has changed from liability to assets (rich dad's definition) as its bringing in income. If your home utilities is $200 or less, then your cashflow is $400 coming in each month. To use a normal, typical kind of property investment as reference, timing, location & abit of luck are needed. When you look back at 2003-2006, a condo costs $500-700K, even a semi-D in Sgoon Garden can be purchased at under $1mil. Of coz, now, like another author / blogger Property Soul said, in this multi-years cycle, its definitely not bottom, & it may or may not have peaked, but as one's disposal capital grows it may be better to spread into different asset classes for different assets cycle. I had 2 friends that were really long term, they purchased property & held for 5years & the other 30+ years respectively, the latter one is suffering the downcycle now but there's no more mortgage to pay, just the drop in cashflow after offsetting his maintenances, utilities & sinking fund contributions. He's not entirely rich exactly, as his expenses pile up with increasing income, and now that his income drop, he's back working but its definitely better had he not had invested in the condo in his 30s. Whether companies or properties, all have ups & downs bah, the old days of dividend stocks like Starhub, M1, SPH had their dividends cut, so still need to know what assets one is holding, its prospects & biz... Key is cannot just buy & forget... must still "monitor"
I always say we should try to be pragmatic and not be overly optimistic or pessimistic. are properties same as REITs? investor buys at a unit in the trust, while the trust buys properties with 30-40% leverage, any property they sell can be returned to unitholders. however, the risk of the debt is on the REIT, not the unitholder. While being a private property owner, he personally is being exposed to the debt. Am i missing something here? There is also concentration risk that comes from holding to one investment property. The counter party risk is also magnified. We might want to take note that betting on higher future prices of our homes is not investment. It is a form of speculation. We should note that there are many people who have lost their bets. Interest rate keeps going up and the rental keeps dropping. Tenants want to rent only 3 months or 6 months because expect rentals to drop again. Yes, the writing was on the wall. Unfortunately, too many threw caution to the winds and bought into the story that there is never a bad time to invest in properties and overstretched their finances. Now, they have to pray that interest rates do not increase too quickly and hopefully the local rental market picks up but, to be honest, things will likely remain tough. Fair comments ak. To add another datapoint, I don’t consider myself a property investor for sure, but so far all my 3 local property buys have been pretty profitable. Better than the 2 kL ones actually. Actual gross annualized return probably 2+% leverage and around 4+% on net asset (remove loan value). So my experience is really match inflation last 10 years.